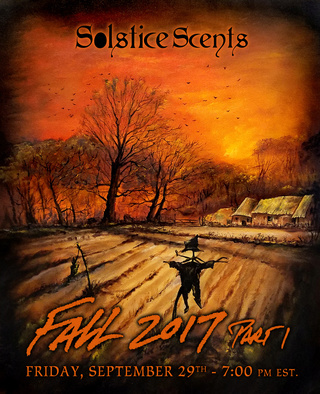 The Autumn Collection Part 1 release occurs tonight at 7 pm EST. Part 1 features recurring/returning favorites along with bath and body products. 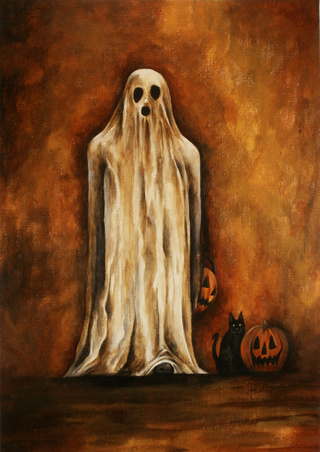 Please note this is the last year for Pumpkin Spice Latte perfume oil and Glace. Maplewood Inn will be offered in EDP format for the very first time with this release (2.5 ml EDP sample sprayers and 60 ml EDPs). For those of you familiar with our catalog, we have an itemized list below of what will be available. 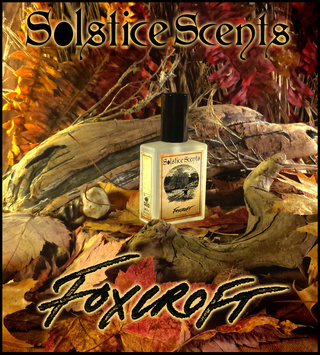 Full descriptions for Autumn Collection scents and other new scents are below this list. We were unable to make Crumbling Crypt salts as a key essential oil was out of stock. Will try to have them for Part 2 in November. Blackberry Jam, Boysenberry Preserves, Vanilla Bean, Creamy Vanilla & a Touch of Vanilla Musk Reformulated in 2016. Same formula as last year but if you have an older version, this one is a bit different. Fall is the season for canning and preparing food stores and the home and its inhabitants for the winter. The kitchen is abuzz with the creation of homemade delights but the most prized at the Blackburn Farmstead is the blackberry and boysenberry preserves made from berries grown right on the farm. In the autumn, the family gathers around the hearth to enjoy fresh made butter and jam on hot from the oven buttermilk biscuits. The jam is also a euphoric experience on the homemade fresh-churned vanilla ice cream! 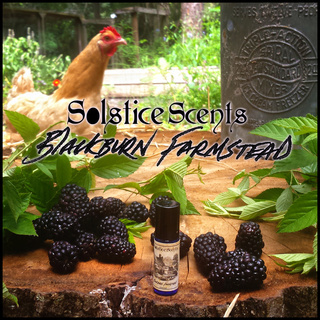 Blackburn's Farmstead is a very very sweet fragrance with loads of vanilla, boysenberry, blackberry and vanilla musk with undertones of cotton candy. The berries are primarily detected on cold sniff and initial application. The perfume starts out with the delicious combination of berries laying on top of a variety of vanillas. The dry down is sweet and creamy vanillas and vanilla musk in the foreground with hints of cool-toned blend of berries in the background, rounding out the vanilla, and a faint trace of cotton candy. Burning desire, feral passion and an edge of mystery churn together in this stirring fragrance. Warm ginger, bright orange, clove, cinnamon, smooth sandalwood, amber, sweet tendrils of wood smoke and a touch of aged patchouli stretch luxuriously over a foundation of our Edge of the Night fragrance. Fires in the Night features a melange of warm spices caressed with wood smoke and paired with a large dose of delicate sandalwood. Additional amber and a few drops of aged patchouli add body while the glowing orange top note compliments the ginger and clove and adds a sultry presence to the final composition. This scent contains so many glorious layers that work harmoniously together to produce an amazing sweet, smoky, smoothly-spicy and rich fragrance that warms the heart and senses. 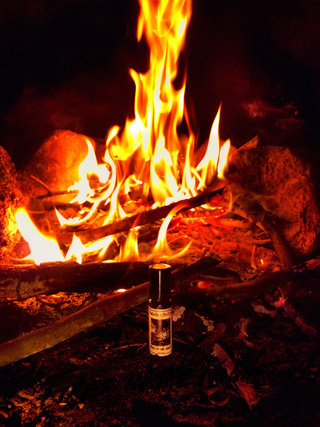 The dry down features warm woody and smoky notes that convey the fires aspect of the scent. If you are a fan of Astral Temple and/or Conjure, you might enjoy Fires in the Night. Unisex. Gehenna is a very dark fragrance with red musk as the dominant note, followed by rich prominent Dragon's Blood. Smoke from eternal fires billows in the background followed by a subtle addition of resinous myrrh. Egyptian Musk rounds out the sharper notes of the blend and contributes to a lighter, less ominous dry down. On cold sniff and initial application, Gehenna is strong, powerful, rich and musky. The scent showcases the red musk and dragon's blood in the foreground with a smoke blend following just behind. 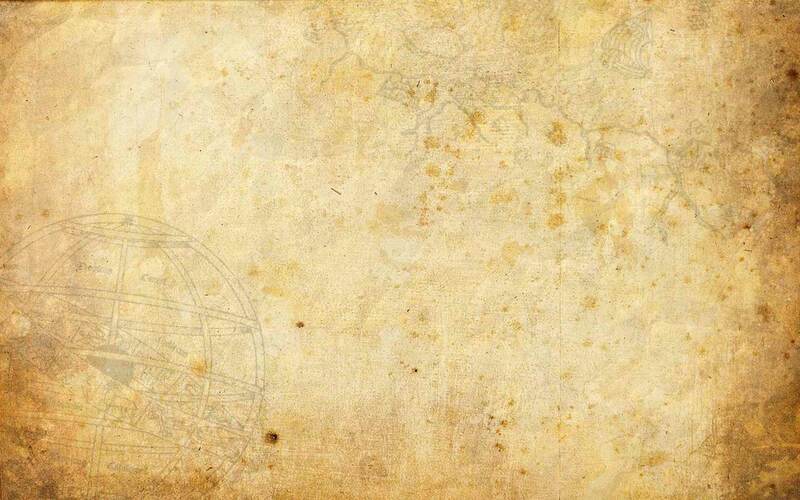 The myrrh is subtle but blends with the amber and oud to give body to the blend and temper the smoke notes. After journeying into Gehenna for an hour or so, a halo of Egyptian musk emerges from the darkness - tempting the senses with its white light and calm resonance. This scent leans masculine but is a great choice for women who enjoy dragon's blood and incense-based fragrances. 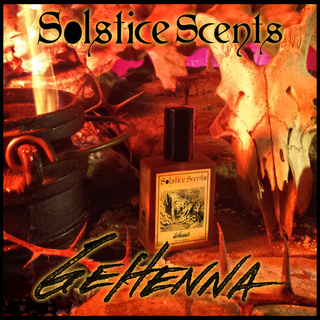 Gehenna is very much a head shop/new age shop fragrance with the prominent notes of red musk and dragon's blood. Maplewood Inn is a quaint historic bed and breakfast with views of the North River in Foxcroft. The Inn has 15 tastefully appointed rooms, a sunny dining room overlooking a private courtyard and a small but charming gift shop featuring special maple items such as locally tapped Grade A maple syrup and maple melt candies from Sycamore Sugarworks. As you enter the reception area, you smell the rich cedar construct mingling with sweet maple. This aroma is punctuated by wood smoke from the roaring brick fireplace which dominates the East wall in the cozy lounge. Relax by the fire in one of the overstuffed chairs and sip on a freshly brewed cup of frothy vanilla chai. Notes of sweet maple syrup, cedar, Alaskan cypress wood, wood smoke and benzoin coupled with a subtle waft of vanilla chai and bridged together with a warm glowing amber. 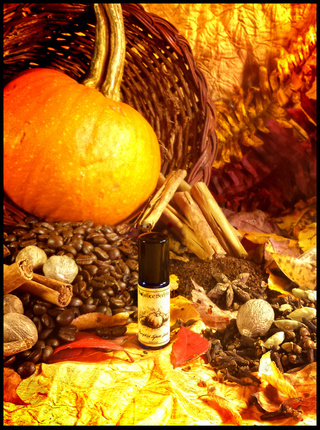 The chai accord is a special composition of ten fine fragrance and essential oils. It contains a blend of teas, frothed vanilla milk, fresh ginger EO, cardamom EO, clove EO and cinnamon. The dominant notes in Maplewood Inn are the maple, woods and sweet wood smoke. It is a sweeter blend but the wood notes and wood smoke temper the maple. The chai is very subtle yet its presence adds a comforting depth and subtle exotic spice that washes over the more prominent notes. 5 ml perfume oil is General Catalog. 2.5 ml and 60 ml EDPs available for the fall season. It's a crisp fall evening, the convertible top is down and you are parked at an ideal vantage point for tonight's movie marathon. The scent of leaves, moss, dirt and wood smoke permeates the air. The leather seats are slightly cool against your skin. You have all the requisite supplies for getting down to some serious movie watching business: a large ice-cold root beer, a tub of warm buttery salted popcorn and a box of Milk Duds. The temperature of the evening is dropping rapidly and you decide to put the convertible top back up, effectively shutting out the scent of the night air. Fragrant sweet smoke becomes more prevalent as neighboring households opt to combat the chill by starting their hearth fires. The scent of root beer, chocolate covered caramels, wood smoke and popcorn swirls around you as suspend your belief for a few hours, completely transfixed by the large theater screen. Suspend your belief with this unique and immersive scent. It's like nothing you have ever smelled before. Maine Moon begins with a burst of crisp air, leaves, dirt and moss mixed with a heavy blast of root beer. The chocolate appears directly behind the root beer, followed by the scent of popcorn that wafts in and out for several minutes. This fragrance morphs quickly. Within a few minutes the initial blast of outdoor air and the birch-like scent of root beer mellow. The popcorn and caramel wait in the wings to make their debut, flitting in and out of range for the first ten minutes. The outdoors notes recede and make way for a brief appearance of a subtle worn leather note that is short lived but also ebbs and flows for a few minutes. The caramel, sweet wood smoke and popcorn become the dominant notes shortly thereafter and continuing on into the dry down. The root beer is tempered to a very subdued note that weaves in and out for about half an hour. 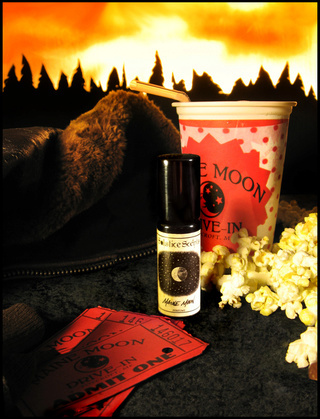 The longer Maine Moon is on the skin, the warmer it becomes as the wood smoke, caramel and popcorn dominate. This fragrance hovers closer to the skin in the dry down but is tenacious. Maine Moon is best experienced outside when the weather is cool. The cool air really brings the notes out and highlights the sweet smoke note during the dry down. To really bring Maine Moon to life, try wearing it on an evening when you can open the window to allow the cool air in, settle down on the couch with the aforementioned concessions, queue up a new or favorite movie, apply Maine Moon and press play! Transport yourself with this fun novelty fragrance journey. 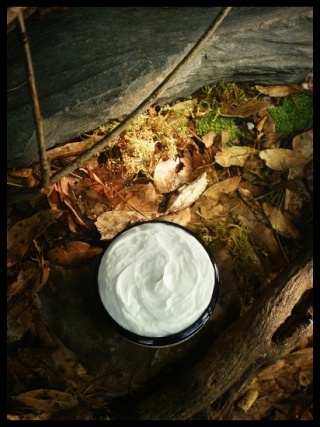 The Whipped Soap format smells primarily of root beer with a green leaves and Earth. This caffeinated concoction starts with fresh roasted pumpkin spice coffee ground and brewed as an espresso. Monin Gingerbread syrup, frothy steamed milk and fresh made gingerbread whipped cream dusted with cinnamon and freshly grated nutmeg complete it. The perfume is a blend of coffee essential and fragrance oils, sweet pumpkin, gingerbread whipped cream, cinnamon and a drop of nutmeg essential oil. Upon application, coffee is the first note to emerge, immediately followed by a spicy cinnamon. After just a few minutes a sweet syrupy scent emerges. The true dry down scent rises after about 15 - 20 minutes on the skin at which point the spice mellows and the coffee, pumpkin and cream all perfectly swim together in a pleasingly balanced brew. Wail of the Banshee is a very earthy fragrance combined with aquatic notes. It is heavy on the patchouli, woods and dank bog notes followed instantly by fresh rain and salty waves, smokey vetiver and finished with a hint of moss in the background. In use, Wail of the Banshee has a woody body coupled with an aquatic note that is slightly salty. Dark and atmospheric. Whipped Soap, Dead Sea Salt Bath Soaks (topped with Irish moss). NOT TO BE USED BY WOMEN WHO ARE PREGNANT OR NURSING OR THOSE PRONE TO HAYFEVER (CONTAINS CHAMOMILE EO). Upon entering the Witch's Cottage you are greeted with fresh and dried herbs, chamomile flowers, rosemary sprigs, Sweet Annie, Davana and a hint of crisp apples. A warm undercurrent of luscious baked goods, sweet buns and candied pralines emerges and is followed by mild fragrant woods and sweet hearth smoke. 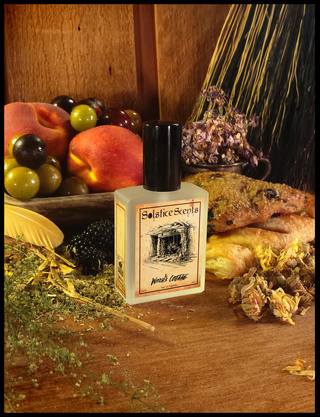 Witch's Cottage fragrance is a true journey with loads of atmosphere. On initial application the herbs emerge with the sweet baked goods hovering just below. The apple and herbal top notes (namely the chamomile and Sweet Annie) retreat within a few minutes to make way for brown sugar and caramel heavy baked goods. The sweet note is a collection of a variety of different sugary treats but the overall scent is not cloying - rather a vague, well blended impression of baked goods that adds a rich warmth to the blend. Further journeying into the cottage will take you to the warmest, most fragrant and exotic soft woods touched by a wisp of divine incense and sweet hearth smoke. The long term dry down is that of the woods and sweet smoke and is a very warm, comforting and alluring fragrance. A definite morpher that is also very interesting, unique and complex scent. It wears close to the skin and encourages snuggling into the couch in front of a blazing fire with a great book and a mug of hot cider! The Whipped Soap is wonderful as well but the warm drydown described above is not as detectable. The cold sniff impression is more prominent here: warm, sweet, a touch of herbs, apple, chamomile and a hint of sweet woods.